miltboot had the most liked content! Just ordered a pair of stiletto boots through a company called Aliexpress that imports from China. They offered many larger sizes, and the prices are ridiculously low, so I couldn't resist. I've heard the quality is.........fair, so I'm willing to take the chance. Anyone ever done business with this company? Yes. 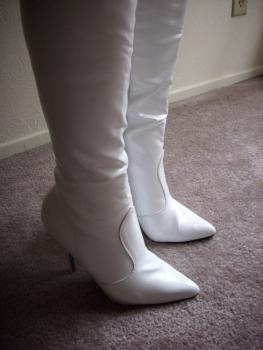 Hopefully, stiletto boots will be back "in" this winter. I find your research on the Pleaser brand interesting. I own many pairs of older Pleaser boots and I'm starting to wonder if the newer ones may be different. May just buy a new pair to find out. Wow. Amazing that they thought you just "wouldn't notice" the boots. Especially considering they weren't even the same brand OR size. Guess I'm just not looking hard enough. Hey, folks. More links are welcome. My research doesn't seem to be turning up many results. No problem. Any info is welcome.